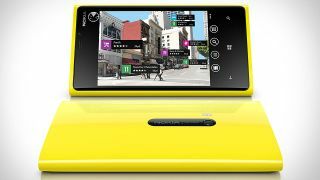 A report on Thursday claimed that Nokia is planning a high-end successor to the Lumia 920 with a thinner and lighter form thanks to a new aluminum body. The existing Nokia Lumia devices all use polycarbonate, making the phones thicker and heavier than the handsets could be if made with aluminum instead. The new aluminum Lumia smartphone, which will reportedly be similar in specs to the 920, is currently known only by the code name "Catwalk," possibly because of its attention-grabbing body. An aluminum frame could make the Lumia 920 successor thinner and lighter, yes, but it could also come with some drawbacks. Several other high profile devices, including Lumia 920 competitor HTC Windows Phone 8X and Samsung's Galaxy S3, use polycarbonate for shells as well. Others, including the iPhone 5 and HTC One S, sport aluminum on the chassis. Polycarbonate is considered quite well-suited for mobile devices, being relatively lightweight and scratch-resistant. Nevertheless, aluminum could be a step up. On the other hand, let's not forget that it was the iPhone 5's scratch-prone aluminum back that caused so many problems back in October around the smartphone's launch. The report, coming from The Verge, also claimed that Nokia has two other new Lumia handsets planned to debut this year as well. The site's sourcing was minimal, though, so it's not clear where this information comes from. Little more is known about any of the new Lumia devices, besides that the publications expects each to get a 2013 introduction. TechRadar asked Nokia to share more information and will update this story if and when the Finnish company responds.